When it comes to wellness trends, I'd describe myself as optimistically skeptical. While I desperately want to believe that something as simple as a supplement can remedy my stress, anxiety, and fatigue, I'm cautiously hopeful that it's a feasible solution for these very real problems. 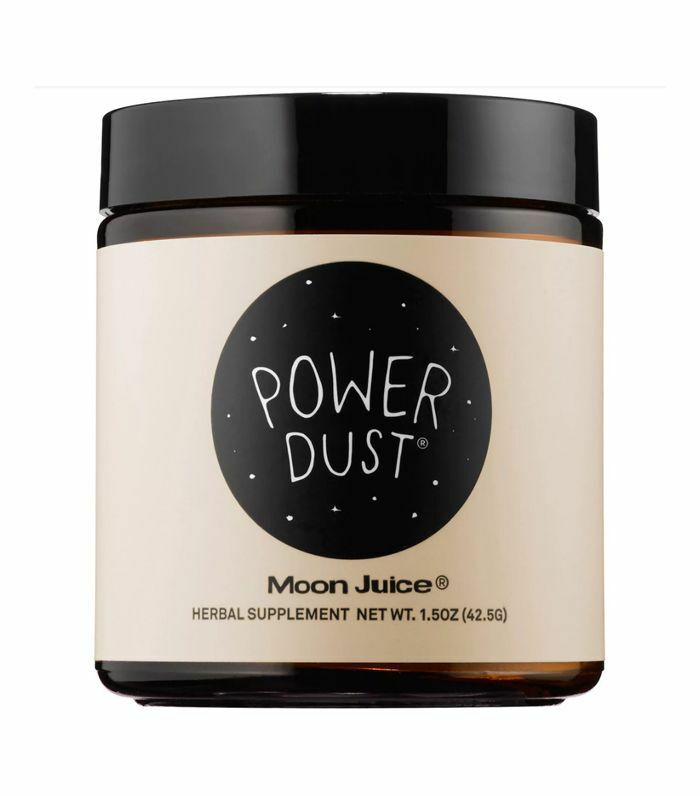 So when Moon Juice's new daily stress supplement, SuperYou, came across my desk promising to fix my mental burnout, improve my focus, and boost my energy and mood with a magical mixture of adaptogens, I was intrigued. Could two capsules a day really help ease the stress brought on by adhering to strict deadlines, managing my personal finances, and striving to strike a healthy work/life balance? After putting the supplement to the test for three weeks, I can confidently say that I'm a convert. Despite the fact that my experiment didn't get off to the best start (I washed down these anti-stress supplements with a stress-inducing cup of coffee on day one), I found that SuperYou lived up to its bold claims. While it certainly wasn't a magic pill that fixed all my problems, I felt equipped with the energy, mental clarity, and confidence to approach said problems after taking my daily dose. Now, I keep the rainbow-colored bottle on my desk and evangelize the benefits of its unassuming capsules to anyone who's drawn in by the eye-catching packaging. 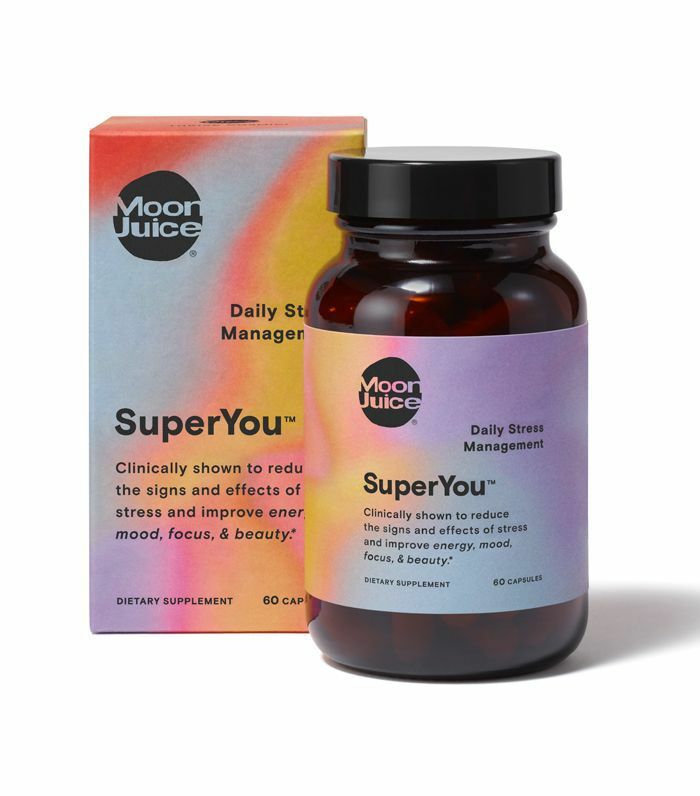 To learn more about the supplement that's earned a spot in my hectic morning routine, I asked Moon Juice founder Amanda Chantal Bacon to share the inspiration behind SuperYou, elucidate on the ingredients that make it so effective, and explain how she copes with stress as a busy woman with a successful business. What inspired you to add SuperYou to Moon Juice's offerings? 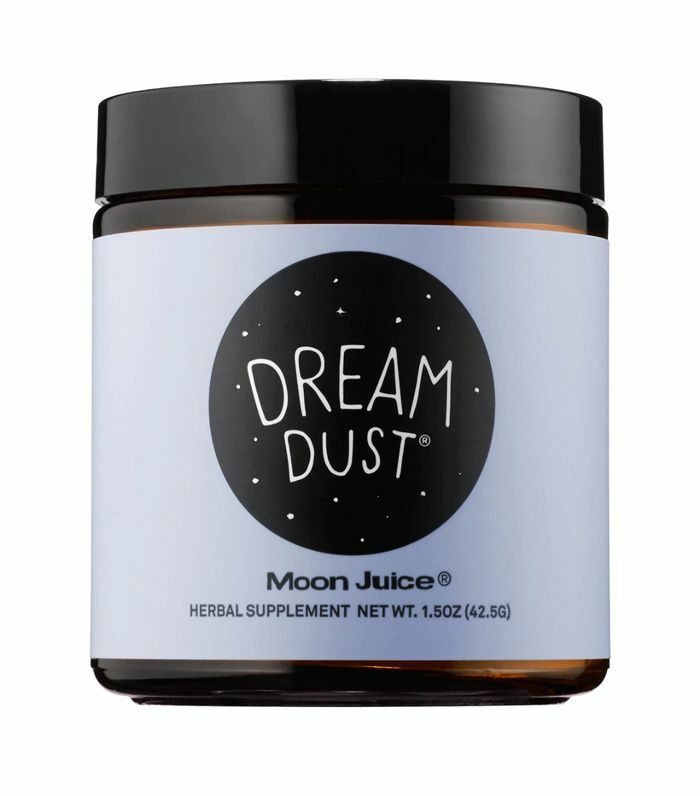 I've had friends come to me that were interested in adaptogens but couldn't make Moon Dusts a part of their routine. They wanted something simple to take on the go that would hit multiple benefits. SuperYou is another way to experience the benefits of adaptogens. 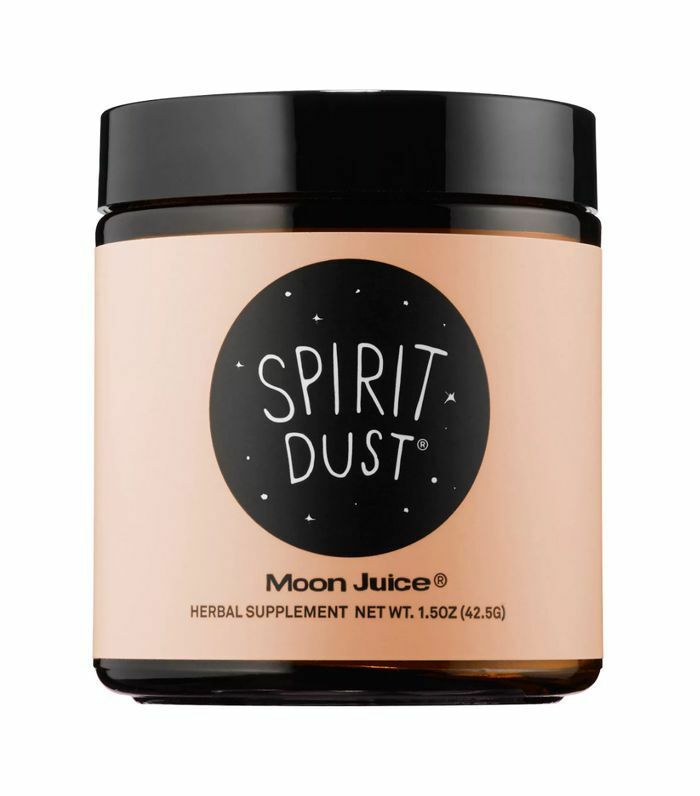 Like many Moon Juice products, SuperYou is made up of a special blend of adaptogens. Can you briefly explain what adaptogens are exactly? Adaptogens are super herbs and super mushrooms that expand the body's capacity to handle stress, whether the source is mental, physical, or emotional. They help regulate stress hormones, like cortisol. Chronic stress negatively affects our beauty and well-being, so adaptogens are vital to self-care—for increased strength, health, calm, and resilience. Which adaptogenic herbs are in SuperYou? It contains four adaptogenic superherbs—shatavari, amla, rhodiola, and ashwagandha—that I chose because of the profound impact they had on my life. SuperYou is like your baseline stress program: two capsules a day with massive benefits. It's the simplest way to protect from the pretty severe effects of ongoing stress. How do these super herbs work together to help reduce the signs and effects of stress? I love shatavari because women can take it in every phase of life for hormonal balance—it wakes up energy and is one of the most powerful adaptogens for reproductive health (and it's beneficial for both men and women). For the visible signs of stress, how it shows up on hair, skin, and nails—amla—because it helps preserve natural collagen by fighting oxidative stress. Rhodiola helps power up the mind and body, increasing focus and energy and clearing up brain fog. And ashwagandha is incredibly effective at balancing out mood, calming anxious nerves, and reducing irritability. Do you recommend taking the supplements in the morning or the evening to best reap the benefits? I like to recommend taking them in the morning as part of a ritual to boost energy and set you up for the day. As a busy woman with a successful business, what are the self-care rituals that help you de-stress after a long day? I meditate every morning. Slowing down has become the new luxury for me. I've been inspired to enjoy alone time and unstructured silence, especially in this age of information overload. I find myself wanting to cut out the distractions and sit with myself. Ed. note: As with starting any supplement regimen, we recommend consulting a physician before you start taking SuperYou regularly. Want to learn more about the power of adaptogens? 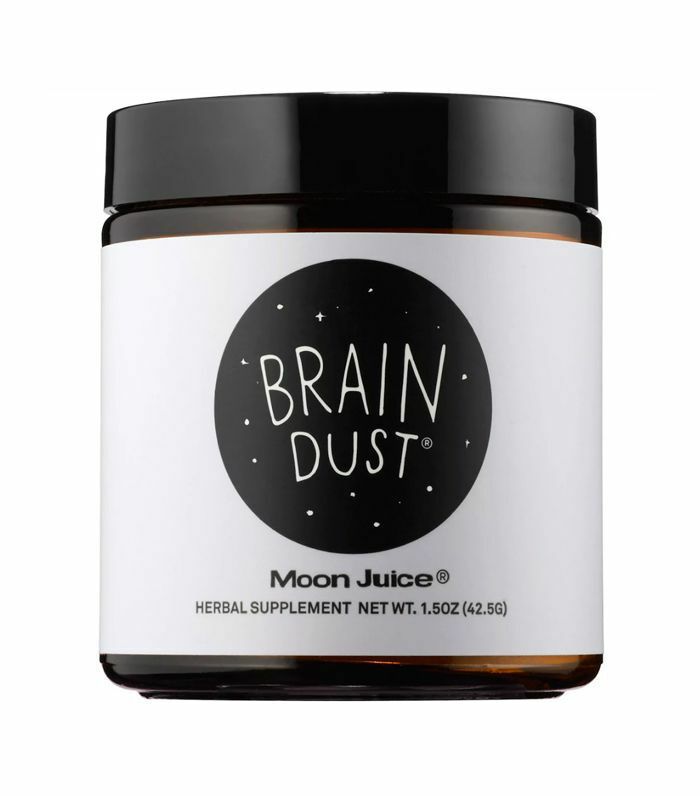 There's the one ingredient that improves brain function, according to Moon Juice founder Amanda Chantal Bacon. What Are Adaptogen Powders, and Why Is Everyone Talking About Them?